Affricates - what are they? Here are objects with the four affricate sounds. 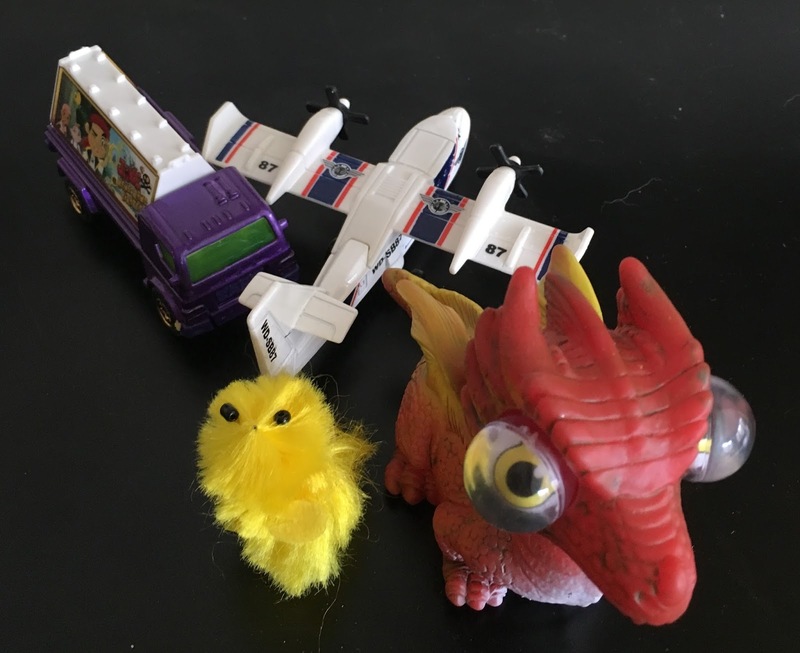 Jet, chick, truck, and dragon. These objects begin with the commonly confused letters j, ch, tr, and dr. As adults, we easily hear the difference between the sounds of these letters/letter combinations. But, for many children just beginning to write, these sounds are easily confused. Children have difficulty hearing the difference between (for example) the j sound and the dr sound, etc. This is often an issue for one-fourth to one-third of a kindergarten or first grade class. How can preschool teachers help? We can provide easy object sorts for our young learners. For example, have children contrast the beginning sound of j using objects such as jam, jellybean, juice, jar, and jet with objects beginning with tr such as train, tractor, truck, triangle, etc. By asking children to separate (sort) these objects while saying their names, helps children to learn to say the sounds correctly and to begin to distinguish the difference in these phonemes. This is especially important for English Language Learners. After contrasting j with dr and j with ch, then have children compare objects with the tr and ch sound. Continue on, adding 3 categories and finally all four until children can hear and correctly sort all of the objects. Many children easily hear the difference, some hear the sound differences after this type of practice, while other children will need more instruction using pictures of other j, tr, dr, and ch words. This may seem like a minor sound difference but it can cause big problems in school. So...help children hear the sound difference now. NAEYC - 2.E.06 & 2.E.10. Head Start - VII.B. 1 & 3.